Since launching in May our new Build-A-Block™ system has been transforming patchwork projects for many. 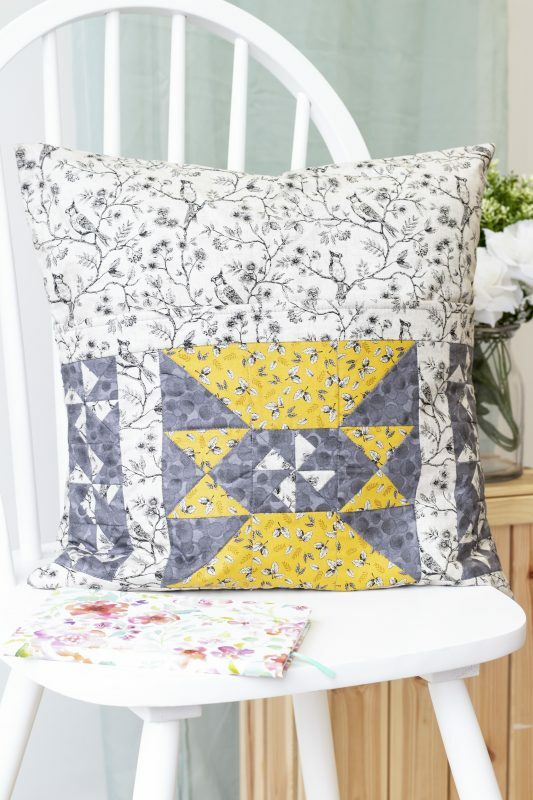 Our seventh step-by-step guide in our dedicated project series details how you can combine your 3 favourite fabrics to create this beautiful reading cushion. and a single pinwheel block. Die-cut four 3.5” half square triangles from dark fabric, and four from a mid-tone fabric. triangle, and sew them together. Press the seams to the dark side. 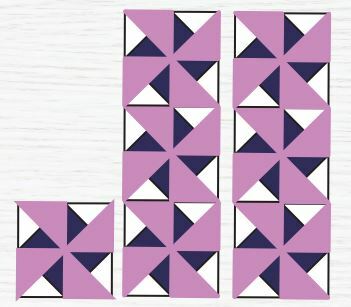 Die-cut four 3.5” quarter square triangles from dark fabric and four from a mid-tone fabric. triangles, and sew them together. Press the seams to the dark side. 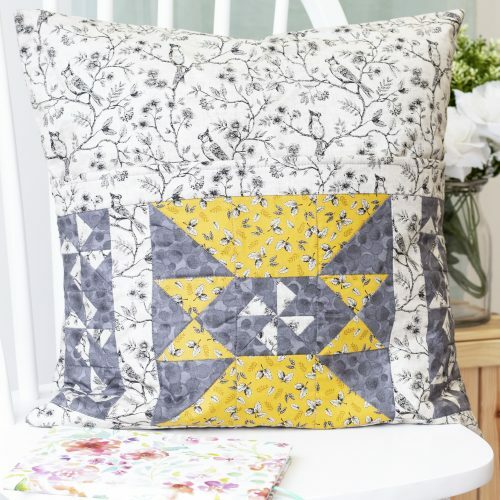 from Step 2 and Step 3 and the individual pinwheel block from Step 1 to form a nine patch block and sew it together. from Step 1 onto the sides of the sashing. and the bottom of the patchwork piece from Step 5.
down the sides and across the bottom. Ensure the panel is positioned across the bottom. This is the front of the cushion with the pocket now stitched in place. long side of each piece. ensuring the hemmed edges overlap. Sew around the edges of the cushion. your book inside the pocket to finish! You can find more project inspiration here!